Over the years ‘Off-Site’ shows during Delhi Couture Week and the bi-annual Wills Lifestyle India Fashion Week has assumed great importance as they are taken to be as ‘premium’ shows. Tarun Tahiliani, Rohit Bal and Rajesh Pratap Singh have had the honour of doing ‘off-site’ shows earlier. 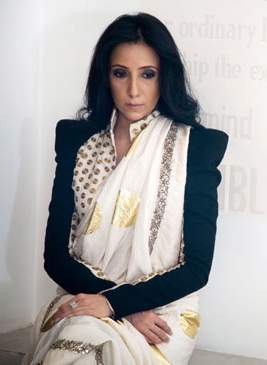 For the upcoming Delhi Couture Week 2012 scheduled between August 8 to August 12 2012 designers Anamika Khanna and Gaurav Gupta are ‘blessed’ with the ‘off-site’ show. 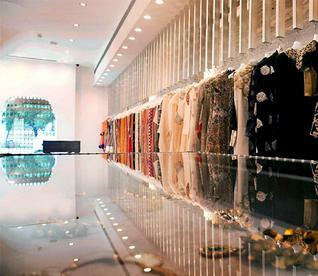 The duo will have their showing at the expansive fashion store – Evoluzione at the One Style Mile in Mehrauli. Lets hope they cn create the ambience that the masters of couture did at off-site shows. well sometime off site shows turns flop too–mr. rohit bal show–where models made to walk on the parapet of cibo’s terrace–was an extremely hapazard and lacklustre event where even the media were shooed away ! At The Kila at One Style Mile, Mehrauli where Evoluzione store is located.